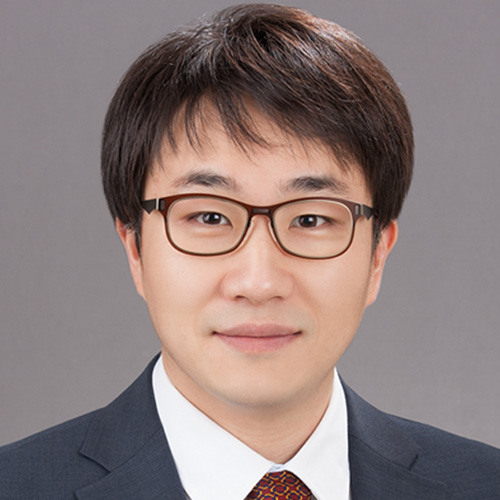 Woo-Jong Lee is Associate Professor of Accounting at Seoul National University (SNU) Business School. He received both his BBA and Ph.D in Business Administration (Accounting emphasis) from SNU Business School. Prior to returning to his alma mater, Dr. Lee served as Associate Professor at School of Accounting and Finance in The Hong Kong Polytechnic University (HKPolyU). Dr. Lee has taught management accounting at both undergraduate and postgraduate levels at HKPolyU and is currently teaching intermediate accounting at SNU Business School. His primary research interests include the role of accounting information in equity valuation, market efficiency and information risk in emerging markets. Dr. Lee has published in academic journals, including Journal of Accounting and Economics, Contemporary Accounting Research, Management Science, Journal of Accounting Auditing and Finance, Journal of Business Finance and Accounting, and Journal of Management Accounting Research. His works have also been cited in leading professional magazines such as Institutional Investor and CFA Digest. “한국기업의 지배구조는 개선되었는가? 현금보유수준 및 가치관련성 추세를 중심으로", 양승희, 정태진, 조미옥과 공저. 회계학연구, 2018, 43 (4): 101-159. “Asset Growth and Analysts’ Multi-Period Earnings Forecasts", 조형진, 최선화, 황이석과 공저. 회계학연구, 2018, 43 (2): 89-127. “Auditors’ Response to Organized Labor in Client Firms”, with Simon Fung, Bin Srinidhi, and Nancy Su, Seoul Journal of Business, 2017, 23 (2): 23-65. “코스닥시장 신규상장기업의 이익조정과 종업원의 지분참여”, 기은선, 이종룡과 공저. 회계저널, 2017, 26 (3): 79-105. “Personnel is Policy: Labor Investment Efficiency and Firm Value”, 유경화와 공저. 회계학연구, 2017, 42 (2): 125-168. “회계투명성의 국가 간 비교 및 자본비용과의 상관관계에 대한 실증연구: 우리나라를 중심으로”, 심호식, 이재경, 한승엽과 공저, 회계ㆍ세무와 감사연구, 2016, 58 (2): 41-81. “SK텔레콤의 하이닉스 반도체 인수와 발전”, 한송이, 최종학과 공저, 회계저널, 2015, 24 (6): 1-29. “Earnings Components, Stock Return Variability, and the Impact of Corporate Governance”, 이정훈, 임승연, 황이석과 공저. 회계학연구, 2014, 39 (2), 109-141. “채권관리권한(Mortgage Servicing Rights)에 대한 회계제도 개선을 위한 연구”, 임승연, 최선화, 황이석과 공저. 회계저널, 2008, 17 (3), 229-253. “Conditional Conservatism, Listing Status, and Auditor Quality”, 남혜정, 박경호, 황이석과 공저. 회계학연구, 2008, 33 (2), 145-183. “국민연금기금의 주식시장왜곡에 관한 연구”, 고봉찬, 이병희, 황이석과 공저. Asia-Pacific Journal of Financial Studies,2008, 37(3), 465-500. “Korean Evidence on the Implied Cost of Equity”, 임승연, 황이석과 공저. 회계학연구, 2008, 33 (1), 97-125. “방산업체의 이익조정에 관한 연구”, 안태식, 윤성만, 정형록과 공저. 회계학연구, 2007, 32 (1), 59-88. “Investor Sophistication, Arbitrage Risk, and the Mispricing of Accruals in Korean Listed Firms”, 김문현, 손병철, 황이석과 공저. 회계학연구, 2005, 30 (Supplement), 59-91. “회계투명성 평가에 대한 연구”, 곽수근, 심호식, 황이석과 공저. 경영논집, 2004, 38 (1), 37-71. "Audit Pricing of Hard-to-Read Annual Reports”, with Meeok Cho, Jiwon Hyeon, and Taejin Jung, Asia-Pacific Journal of Accounting and Economics, forthcoming. “Preference for Appearance over Substance and Corporate Investment”, with Boochun Jung, Amanda Xiao Li, and Jenny Jing Zhou, Asia-Pacific Journal of Financial Studies, forthcoming. “Regional Crime Rates and Corporate Misreporting”, with Hyungjin Cho, Sera Choi, and Seunghee Yang, Spanish Journal of Finance and Accounting, forthcoming. “Value Information of Corporate Decisions and Corporate Governance Practices”, with Hae-Young Byun and Lee-Seok Hwang. Asia-Pacific Journal of Financial Studies, 2011, 40 (1), 69-108. “경영교육 뉴 패러다임”, 이두희 외 공저. 매일경제신문사, 2018, 359쪽. “Changes in Value Relevance, Timeliness, and Transparency of Reported Accounting Information: An Analysis of Korean Listed Firms”, 김문현, 손병철, 황이석과 공저. 서울대학교 출판문화원, 2008, 263 pages.